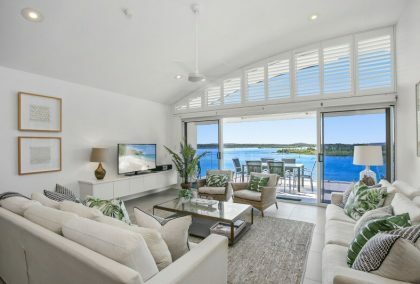 Your luxury Noosa Waterfront holiday experience starts from the minute you step into our stylish, spacious apartments. Well- appointed and tastefully furnished, nearly all our apartments offer unparalleled, sweeping river views. 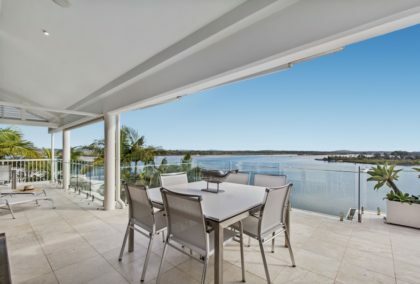 Beautifully spacious, this Noosa Quay's three-bedroom river view apartment is perfectly suited to families, incorporating three bedrooms in twin, queen and master bedroom king (with master en-suite & WIR) configurations. Beautifully spacious, this Noosa Quay's three-bedroom apartment is perfectly suited to families, incorporating three bedrooms in double, queen and master bedroom king (with master en-suite & WIR) configurations. The Noosa Quays penthouse apartments offer the ultimate in Noosa Sound luxury accommodation with three spaciously appointed rooms and exclusive rooftop terrace. The surf’s up and anticipation are building as Noosa readies to host the iconic event that is the annual Festival of Surfing that’s now on! Running from March 2 until March 10, this internationally renowned surf festival attracts around 800 competitors each year, and they come from far and wide to compete in more than 15 different divisions and events. So, grab your board as we ready to ride the wave of what’s in store for 2019. Spanning eight days, the Noosa Festival of Surfing is renowned as the biggest surf festival in the world by competitor numbers. Held each year since the 1990s, it sees First Point the focus as competitors of all ages and surf styles take to the waves. The event attracts international surf superstars and local legends alike, with the festival featuring grommets, grandpas, dogs, body surfers, specialty and pro divisions. In fact, the Noosa Festival of Surfing is acclaimed as one of the most diverse surfing festivals in the world, incorporating everything from longboards to noseriders, tandem and more. This year the World Surf League is also part of the event for the first time in nearly a decade, with the longboard world championship set to feature a field of over 60 surfers in both the men’s and women’s events. Meanwhile, it’s not just on the water where all the action takes place. All eyes might be on the line-up but there’s also a wealth of action on the shoreline, with a packed agenda of entertainment and activities that embrace the truly festive vibe. Each weekday, the morning kicks off with yoga on Main Beach out the front of Sails, then over the course of the event there are activities like sandcastle workshops, art exhibitions, surf-focused films, heritage surf walks, and even a workshop on the science of surf drones. Of particular note is the perennially popular dog surfing event, which will take place this weekend. From 2 pm on Sunday, these avid surfers of the four-legged variety carve it up with their companions in simply spectacular style. Throughout the event many local venues will also throw open their doors to embrace the celebration, with charitable dinners, parties, live entertainment and trivia all on the agenda. Thomas Surfboards kicks off the festivities with the opening party this Saturday night. Sunday sees a charity dinner at Peppers, Land and Sea Breweries offers a touch of trivia on Monday, and Band of Frequencies plays Halse Lodge on Wednesday before a massive closing weekend. The final days of the event include an Original Rock’n’Roll party at the Reef Hotel on Friday, the Café Le Monde party on Saturday and the closing party at Miss Moneypenny’s on Sunday where the first Men’s and Women’s Champion of the Noosa Open Longboard Championship will be crowned. Full details about the events and their locations are available here. Located within walking distance of Noosa Main Beach and Hastings Street, Noosa Quays is a premium Noosa accommodation provider, offering deluxe apartments on the Noosa Sound waterfront. 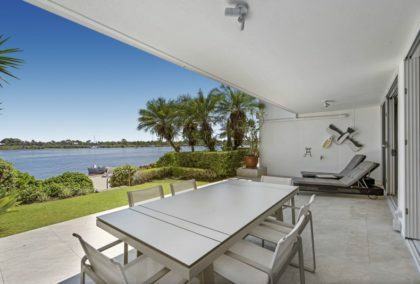 The perfect place to relax and enjoy all the activity and excitement of the Noosa Festival of Surfing, the resort features spacious river view apartments tucked away in its own tropical gardens. Noosa Quays shares the region’s passion for surfing and the water, with kayaks and stand-up paddleboards available for guests, and the resort even boasts its own private beach. 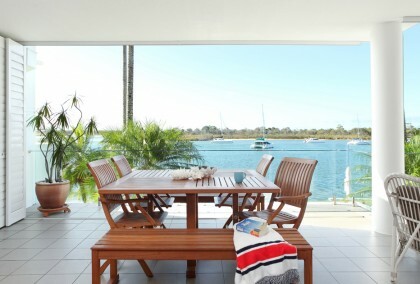 You can learn more about Noosa Quays or make a booking here.